The two Monmousseau sisters, Juliette and Marie, complement each other perfectly. Representing the fifth generation of the family at Bouvet Ladubay, a picturesque winery in the French Loire valley, Juliette oversees sales and marketing for the company. 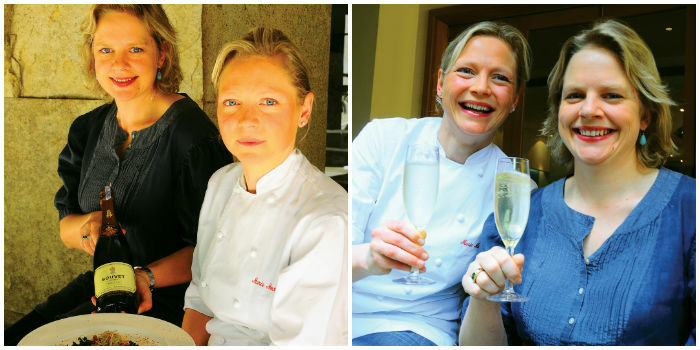 Marie, the younger sibling is poised to open her own restaurant at the winery next month after completing a stint in London at some of their finest gourmet restaurants. a�?Our penchant for good food comes from our Swedish mum who is very particular about keeping a fine table,a�? 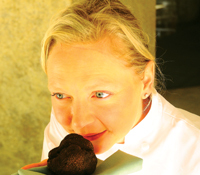 says Marie producing a fresh aromatic truffle, bottles of fine red wine vinegar and eldeberry liqueur a�� all essential ingredients for her carefully curated menu that she weaves to pair with Bouvet Ladubaya��s Bruts and Four Seasons Viogner and Barique Shiraz. Bouvet has two Bruts, a RosA� and a white. a�?The mild dryness of a Brut goes perfectly with cheese like Brie and Gouda, shrimp and shellfish, salami, veggies, smoked salmon, stuffed mushrooms and surprisingly, with fruit-based desserts and shortbread cookies too a�� the last one a real fun pairing combo as the acidity in the wine cuts through the butter,a�? explains Juliette as she tells us how Bouvet Brut is made in the traditional way with the second fermentation in the bottle. a�?Chenin is the majority grape, blended with a small quantity of Chardonnay. While the RosA� is used mainly by using Cabernet Franc,a�? she explains. Marie, for her part, put together a perfectly poached escabesche of red mullet, with basil, red onions and fried garlic followed by a cabbage leaf stuffed with delicate minced duck, chestnuts, mushrooms and foie gras. The piece de resistance was the truffle shavings that gave the dish a delightful earthy aroma. With the season of celebrations upon us, ita��s a good time to stock up on the well-priced Bouvet Ladubay offerings at an average of Rs 1,800 a bottle.